Most people are nervous when they go to the dentist; the thought of tiny drills and potentially painful procedures can wreak havoc on one’s mind. For residents in North Pole, AK, a trip to the dentist is always a stress-free experience thanks to the dedicated staff at Alaska Dental Arts North Pole—the state’s leading dental services provider. The trained team at this local dentist office provides a wide range of dental services, including cosmetic procedures such as teeth whitening, veneer placements, and dental implants. The professionals at Alaska Dental Arts North Pole also know how important it is to keep teeth healthy between visits to their office. 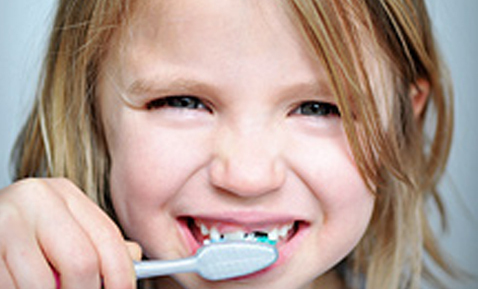 Here, they share the benefits of using an electronic toothbrush. Why should you consider using an electronic toothbrush? It Keeps Teeth & Gums Healthy: Unlike with a manual toothbrush, an electronic toothbrush can reach plaque and tartar built-up in hard-to-reach areas between teeth. If you have problem areas, the trained staff at Alaska Dental Arts North Pole will remove plaque during general dentist examinations and teeth cleanings. You Brush Teeth Longer: Electronic toothbrushes are set-up to alert users when they should switch to a different section in their mouth. By using four, equally-timed intervals, you can ensure a thorough cleaning. This is also a good option for kids with braces, as they often miss areas prone to food buildup when they use a manual toothbrush. To make sure your child’s pearly whites are clean, visit Alaska Dental Arts North Pole—the best family dentist in town! It’s Painless: You don’t have to worry if you are brushing too hard with an electronic toothbrush, because it's pre-set to the correct pressure. For the most delicate cleaning, inquire about Alaska Dental Arts North Pole’s sensitive teeth dental services. Whether you need a cosmetic dentist for teeth whitening, a family dentist to fix your child’s braces, or a general dentist to place veneers, the trained staff at Alaska Dental Arts North Pole has you covered. The dental services offered by this affordable dentist will have your smile turning heads in no time! For more information on this Alaska-based dentist, call (907) 490-4650 or visit the website.